An original dance-drama about how a family devastated by cancer manages to cope. “In the Meantime” combines dance and text to explore the intimate anxieties of the meantime—when you hope for the best but must prepare for the worst. 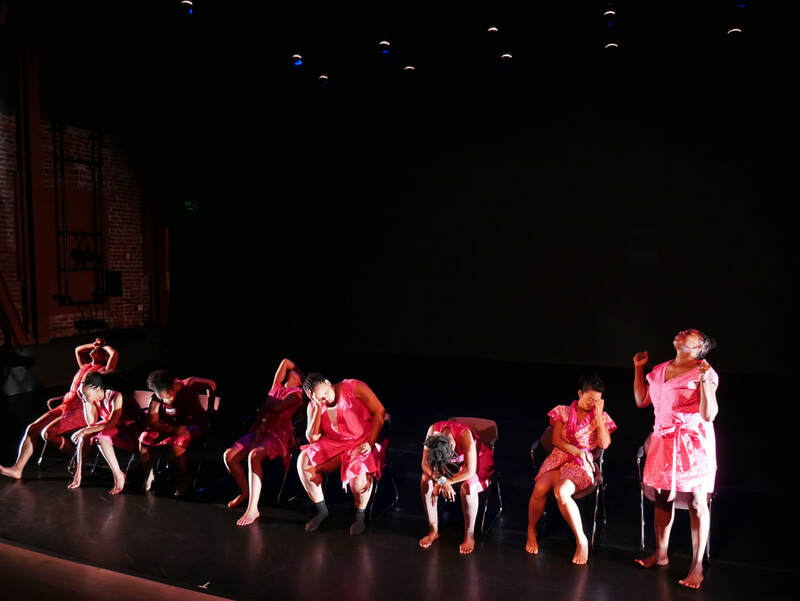 “In the Meantime” was choreographed & co-directed by Theater Bay Area Award Finalist Kendra Barnes, written & co-directed by Izzie Awarded Delina Patrice Brooks, a Bay Area-based playwright, director and performing artist. Featured guest artists include Dandha da Hora (Brazilian Vocalist & Choreographer) and Julio Remelexo & Tambores (Brazilian Percussionist & Vocalist) performing live traditional Orixa songs as well as original songs written by Delina Patrice Brooks.